Vegan-care shampoo & conditioner by Bayse Natural Care are new to the BNC product line. 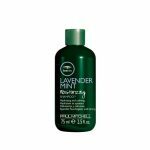 The shampoo is coconut-derived and it contains hydrolyzed wheat protein and pro-vitamin B5 as well as organic lavender, lime, and rosemary essential oils. 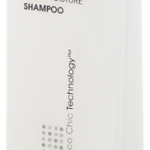 The shampoo is paraben & SLS free, vegetarian and vegan friendly, and it is not tested on animals, ever. This product is also grey water safe. The vegan-care conditioner is plant-derived and it contains macadamia oil, organic jojoba oil, organic lavender, lime, and French rosemary essential oils. The conditioner is also paraben & SLS free, vegetarian and vegan friendly, cruelty-free and grey water safe. The vegan-care shampoo & conditioner and all other Bayse Natural Care products may be purchased at locations throughout Australia. Please visit the official website to access the company’s store locator. Outside of Australia, products may be purchased online by visiting the official Bayse website at www.bayse.com.au. Bayse Natural Care sells hair, bath, and shower products that are 100% biodegradable and grey water friendly, meaning they are safe for your garden. The products are vegetarian and vegan friendly, as well as cruelty-free. The products do not contain parabens or SLS, and products consist of organic ingredients such as rosehip oil, calendula oil, lavender, and German chamomile essential oils. The Bayse products line includes calendula baby wash, citrus splash bath & shower gel, relaxing bath & shower gel, body wash, bath salts such as pink passion and muscle magic, and face creams, face oils, and lip balms. Bayse also sells massage oils as well as pet products. The Bayse Tropical Spa Salt Glow is another example of Bayse’s all natural and organic ingredient combinations. The spa salt includes Australian sea salt, and pure cold pressed organic oils such as organic coconut oil, organic olive oil, sweet almond oil, and jasmine essential oil. It also contains organic coconut flesh.